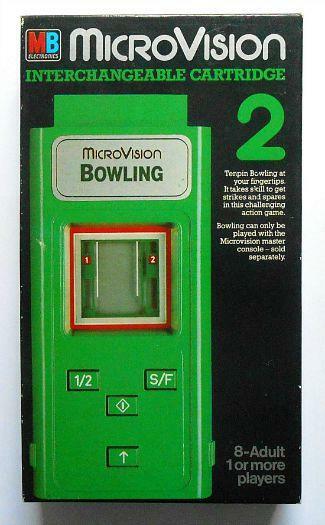 Released almost ten years before the Nintendo Gameboy (in November 1979) by the Milton Bradley Company, the MicroVision was the first handheld gaming console to feature interchangeable cartridges. In fact, it was the cartridge itself that contained the CPU, and just to confuse everyone, two different ones were used. Cartridges containing the Intel 8021 required the use of 2 x 9v batteries, while those containing the Texas Instruments TMS 1100 required only one 9v battery. Despite the Intel being more advanced (it had 8 bit register width, rather than 4 bit), the fact that it required more power and offered only 1K ROM memory (the 1100 had a whopping 2K) led Milton Bradley to eventually use only the 1100. Games that originally ran on the 8021 were also reprogrammed to work on the 1100. The console was designed by Jay Smith who went on to design the Vectrex for MB. 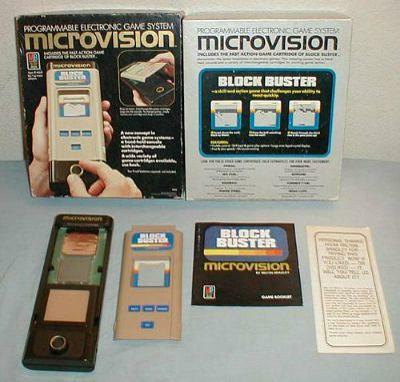 In its first year the MicroVision was a success for the company and raked in $15 million in profits. However, this success was short-lived and by 1981 the machine was discontinued. So what went wrong? 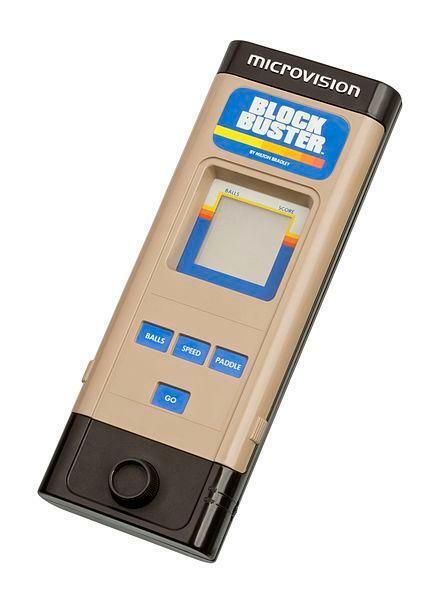 Released in 1982, the final game Super Blockbuster was distributed only in Europe. The first four games were released as launch titles at the same time as the console in November 1979. The LCD screen used on the Microvision was pretty primitive and suffered from what became widely known as screen rot - the liquid crystal leaked and then permanently darkened. However, as you will see in the video at the top of the page, before any screen rot the display is pretty clear and the games are certainly not sluggish, even if they are very basic - as you would expect for 1979. 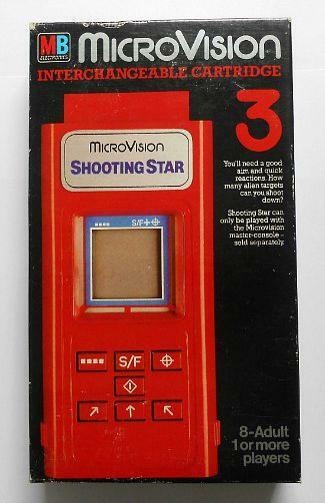 "Microvision phaser". Licensed under Public Domain via Wikipedia.